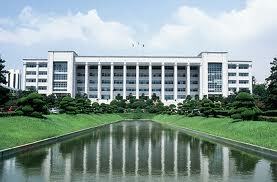 Inha University, South Korea is now offering an exchange students program starting from Fall 2012 to Spring 2013. To see the offered courses please visit official website. if a student does not meet the qualification requirements stated above, Section B in his/her recommendation letter must be filled out by a student’s academic supervisor. exchange students do not need to take any Korean language proficiency test before entering Inha University. However, they are recommended to take Korean language courses at Inha. Exchange students will be guaranteed on-campus housing at their own expenses. Application for on-campus housing should be made when submitting the admission application materials and payment can be made in cash upon arrival. One semester runs for 16 weeks, and approximate costs of KRW 500,000 are needed for each winter/summer break additionally. Dormitory fees are subject to change every semester. Exchange students are allowed to accommodate only at quadruple rooms. Breakfast and dinner from Monday through Friday are included in the dormitory fees shown above. All lunches and meals for weekends and holidays should be purchased separately. Please submit all of the required documents to OIA UGM no later than April 30, 2012. Demikianlah informasi mengenai Student Exchange Program, Inha University, Korea semoga berguna bagi anda.